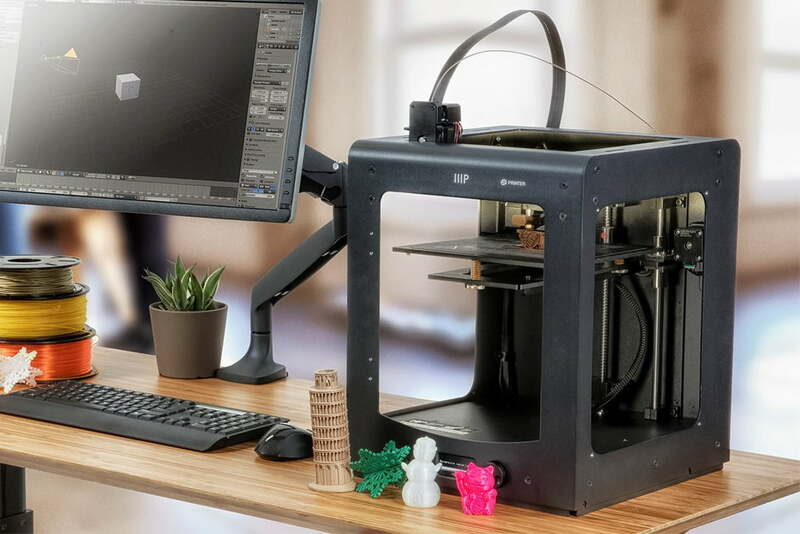 The 3D printing market has seen quite a few changes over the last few years. In just the span of a decade, the barrier to entry has dropped from well over several thousand dollars to under $200, in some cases. However, all entry and mid-level printers are not made equal. This article seeks to offer a few suggestions to a prospective buyer, as well as some other information regarding alternatives not found on this list. 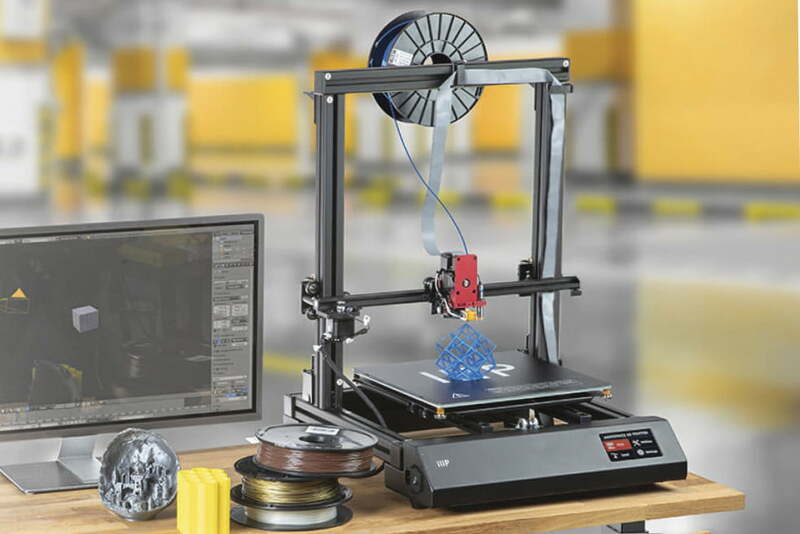 To some veterans of the 3D printing scene, this list may seem like it lacks a few of the most commonly recommended printers for newcomers. This is by design. Our list only considers printers with tested components from proven, reliable vendors. We have avoided any printer with a frame primarily made from interlocking acrylic pieces, and anything with a documented history of unreliability. The Monoprice Mini v2 is an incredibly common entry level printer these days, and at this price, it’s not hard to see why. While its build volume is among the smallest on this list, the Mini’s stability is not to be understated. Equipped with a fully metal frame and a stout base, the MP Mini is rock-solid when compared to most of the cheaper machines in its price range which tend to make heavier use of plastic frame components, which makes for a stellar out-of-box performer. In addition, being from Monoprice gives the owner access to their excellent customer service and warranty. The Mini’s community is well established, and can offer plenty of advice on simple modifications that increase the longevity of the machine, to resources on replacement parts and additions. 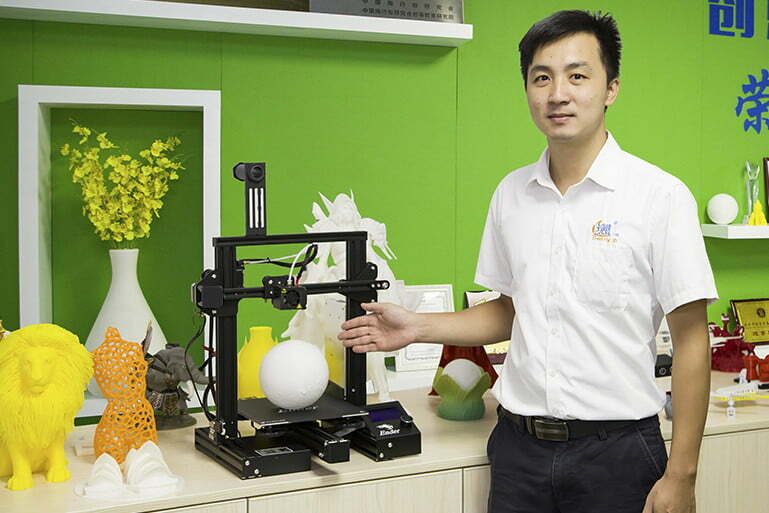 Its low-powered heatbed means it’s restricted to low-warp materials, and its remote extruder means flexible materials would be quite a challenge as well. However, its primary goal is to print with PLA (or PolyLactic Acid), a safe, environmentally friendly material, and in that regard it absolutely shines. The Creality Ender 3 Pro is an upgrade of the popular Ender line of budget printers, with a few changes that improve its reliability, and that in fact make it eligible for this list. The addition of a name-brand power supply means this device’s power output has been tested and certified to be stable for home use, which offers a fair bit of peace of mind over its predecessor. In addition, it adds a few welcome stability features, as well as a magnetic build surface that can be taken off the printer to facilitate print removal. However, it is worth noting that Creality’s offerings have had issues with quality control in the past, such as parts arriving damaged, or tolerance errors from the factory making for a difficult assembly. The fact that it needs to be assembled is also worth mentioning. While by all accounts not a particularly challenging build, the Ender 3 does not come in a fully assembled state, and does need to be built by the user before use is possible. The MP Maker Pro is big, and feature rich, to be sure. The leveling probe attached to the printhead means that it can automatically sense the shape of its bed, making leveling much simpler than on typical printers. Its magnetic bed allows for easy part removal and the touchscreen makes for a much more modern looking interface. Its extrusion system uses a directly mounted motor, rather than the remote extruders seen on the past two printers, which allows for somewhat more precise plastic control out of the box, and additionally adds options for flexible plastics like TPU and TPE. Its primary downside is that due to its immense size, the MP Pro is a slow printer. There is no avoiding the fact that moving a plate over 30cm wide in both directions back and forth requires a much lower rate of speed and acceleration than average, meaning prints will take much longer on this printer than on other, smaller machines. Toxic resin fumes and byproducts. 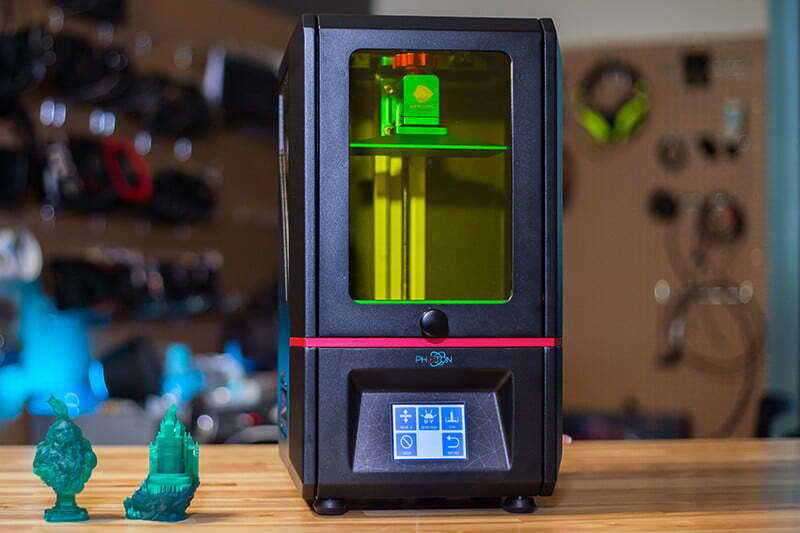 The AnyCubic Photon is notably different from the other printers on this list. All other machines listed here belong to the FFF (Fused Filament Fabrication) family of 3D printers, meaning they use melted plastic pushed through a heated nozzle. The Photon falls under the LCD subset of the DLP (Digital Light Projection) category, meaning it uses light projected through an LCD to selectively harden a vat of light-sensitive resin. This enables it to print at detail levels anywhere from four to ten times higher than standard filament based printers, but this does come with downsides. The primary being that the liquid resin in its raw state is quite toxic, and thus any photo-resin printer requires proper ventilation (preferably active in the form of a fan duct) at all times. However, if looking for a printer to make jewelry, figurines, or for other extremely high-detail purposes, the Photon is definitely the best pick on this list. 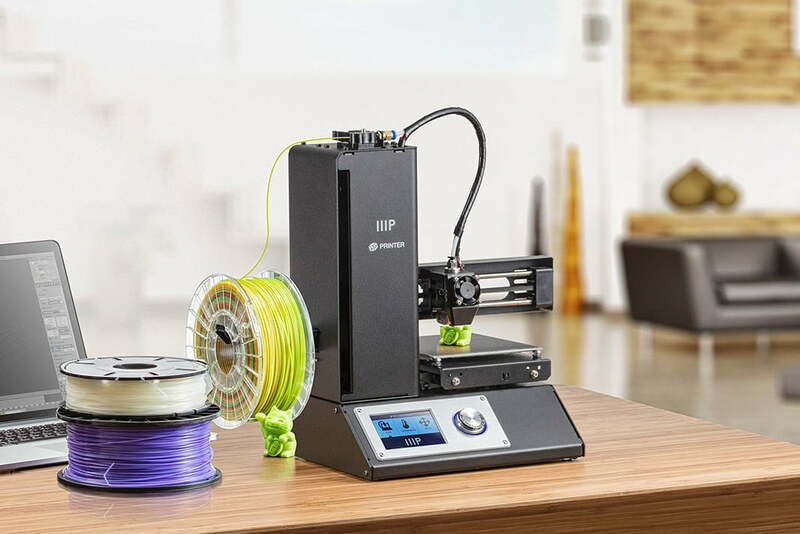 Yes, this is the third Monoprice printer on this list. In fairness, Monoprice only serves as a go-between with these printers, and in fact all three devices on this are rebrands of other machines by one of two Chinese companies, but Monoprice does feature heavily in this article, due in part to its quality control requirements, customer support, and use of safety rated power components, unlike many comparable brands. I must also admit a personal point of possible bias, namely that the Maker Ultimate is my own personal machine of choice. As of writing this article, my personal Maker Ultimate has run for approximately 590 hours of printing, creating everything from trash cans, greeting cards, phone cases, model planes, and, most commonly, other 3D printers. While it lacks automatic bed leveling, calibration is accomplished via a simple adjustment protocol, and due to its sturdy construction, this calibration tends to stay in place longer than on most of its competitors at this price range. In addition, the Ultimate has one advantage over every other printer on this list: Speed. Due to its design, a so-called “QuadRap,” where a small, square head moves on sets of intersecting rails, it has a significant edge against the other printers listed here, all of which fall into the lateral bed, or “bed-slinger” category. This is by no means an exhaustive list of the options in this price category, but should serve as a good primer on safe, reliable devices. Whether you’re looking for an affordable first machine to give to a curious child (or a curious adult as well), an affordable option to stock a lab with, or maybe you’re just looking for something new to enhance your own creativity, it would be hard to go wrong with anything on this list.